Jean Hale (born December 27, 1938 in Salt Lake City, Utah) is an American actress. In films, Hale played Cheryl Barker in The Oscar (1966), Myrtle in The St. Valentine's Day Massacre (1967) and Lisa in In Like Flint (1967). 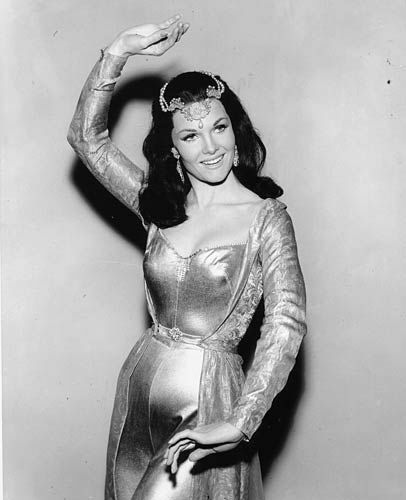 She also appeared in several television shows in the 1960s, including: The Alfred Hitchcock Hour, Batman, Bob Hope Presents the Chrysler Theatre, Bonanza, The Fugitive, Hawaii Five-O, McHale's Navy, Perry Mason, My Favorite Martian ("The Atom Misers", air date 12/15/63), The Virginian, Hogan's Heroes, and The Wild Wild West. Jean Hale married Dabney Coleman in 1961. They have three children: Quincy (born 1972), Randy, and Kelly Johns. They divorced in 1983.